Octoberfest? Yes, my spelling is not wrong. It’s not Oktoberfest. Oktoberfest is an annual event to celebrate beer in Munich, Germany. It is the largest fair in the world as over 6 million people are expected to attend from all over the world. 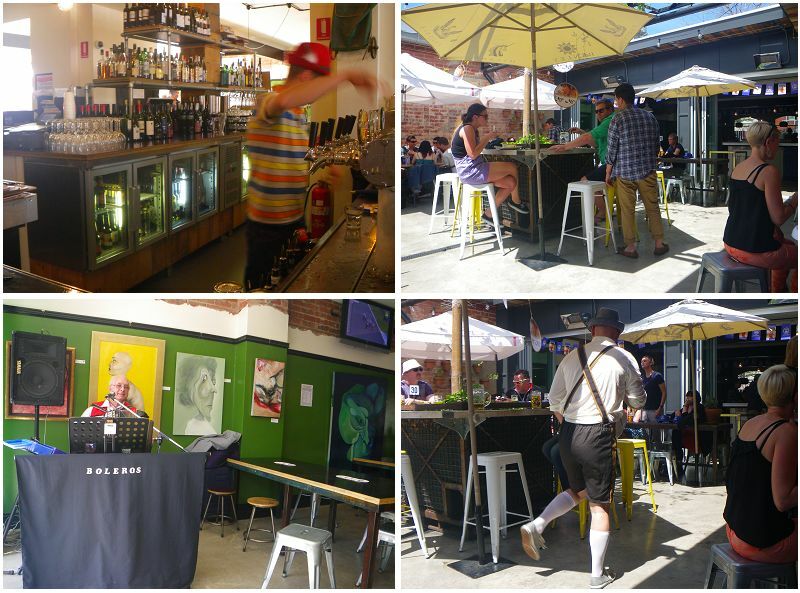 However, the octoberfest that I am talking about today is the event that being held in various German pubs in Adelaide to celebrate Oktoberfest. In fact, Octoberfest is celebrated in other states as well. For this year’s event, I decided to crack it @ hotel wright street last Sunday. 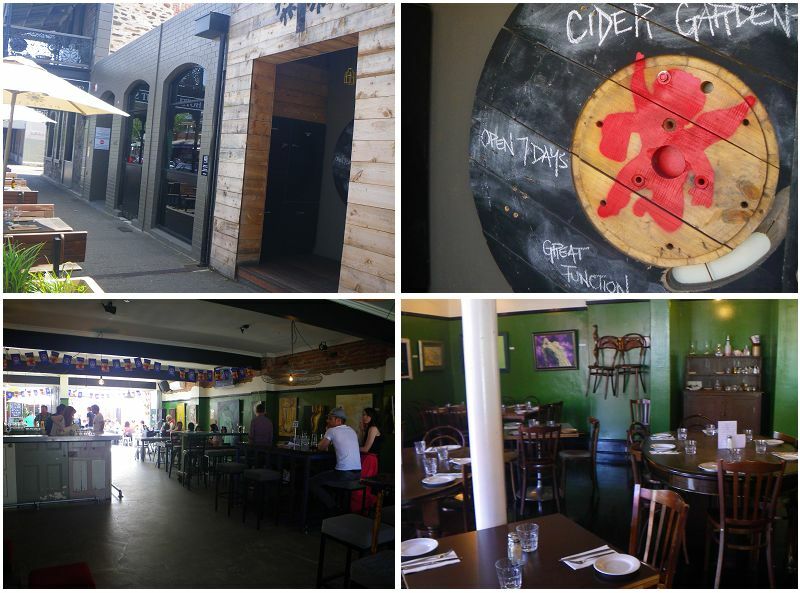 The pub is located on Wright Street, just minutes away from Central Market and Gouger Street dinning precinct. It has a standard historical pub appearance from outside but has a cosy and exciting environment inside. The place was renovated in 2011 by the owners to create an open space to greet customers. I like the idea of open space cos ppl can easily see the inside and this creates a welcoming feeling for customers. I tried to book on Saturday night after coming back from GFWS and fortunately we were able to grab a table of two. People read this blog may know that I love pig on spit and this is what I was there for. We arrived at 1pm, ordered our food & drinks and got seated quickly. The atmosphere was already heating up. 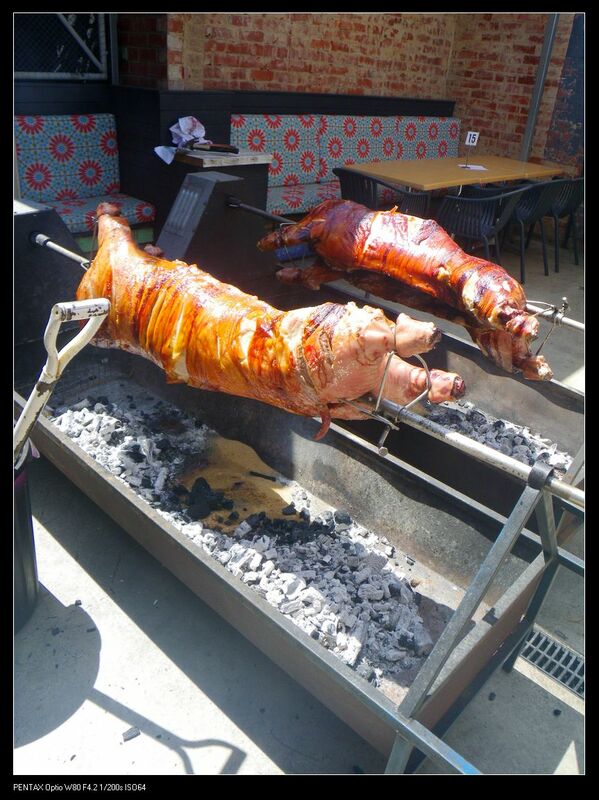 The two pig were roasted on the spit, releasing beautiful aroma, while the music was on and some ppl were dressed in Bavarian style. The pub has got a wide selection of beers and ciders but I am here for something German. We ordered the classic HB larger to start with. For entree, we ordered one platter and two tasting plate. Tasting plates – 2 dishes for $16. There were 5 different dishes to choose from. 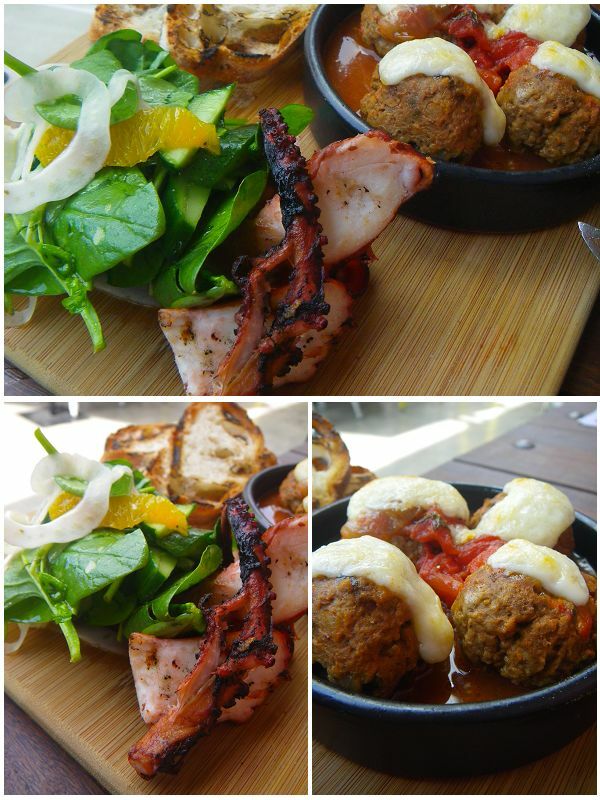 We chose the poached octopus and meat ball ragu. Both of the dishes were nicely cooked. The octopus was very tender while the meat balls were tasty with a sweet n sour flavour. The two dishes were complemented with crispy toasted ciabatta breads. The antipasto platter included some pickled cucumbers and onions as well as cheese, prosciutto, ham off the bone and crispy ciabatta breads. 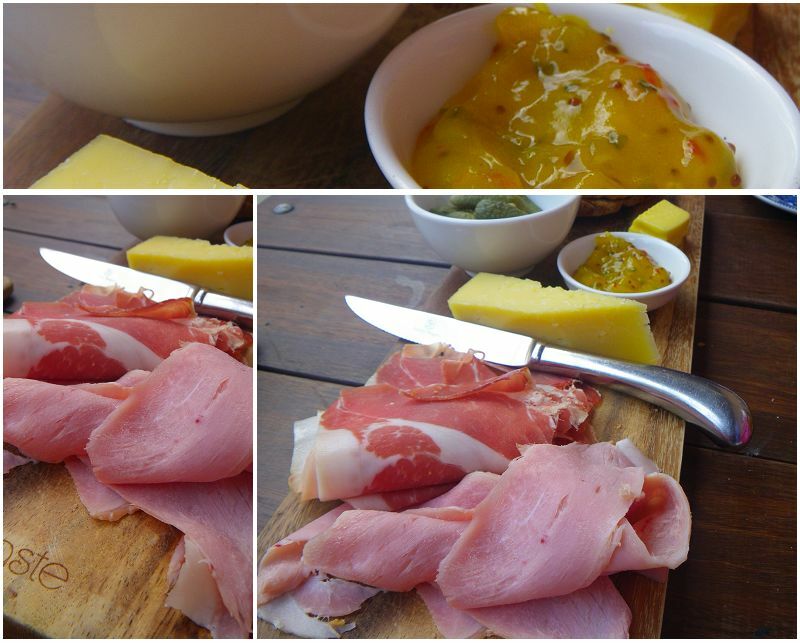 The two things stand out in this platter were the prosciutto and the mustard sauce. The prosciutto actually exceeded my expectation. My readers may know that I am not so into pub styled food. However, this prosciutto tasted much better than some branded ones. The meat was cured to perfection and tasted just right. It was thinly sliced with a fine texture. The mustard and lemon sauce was just a good compliment to all the dishes ordered on the day. The sauce was sweet and sour but one can definitely detect some mustard flavour. Highly recommended. Pig on the spit roll, $5. What did I come here for? Pig on the spit! 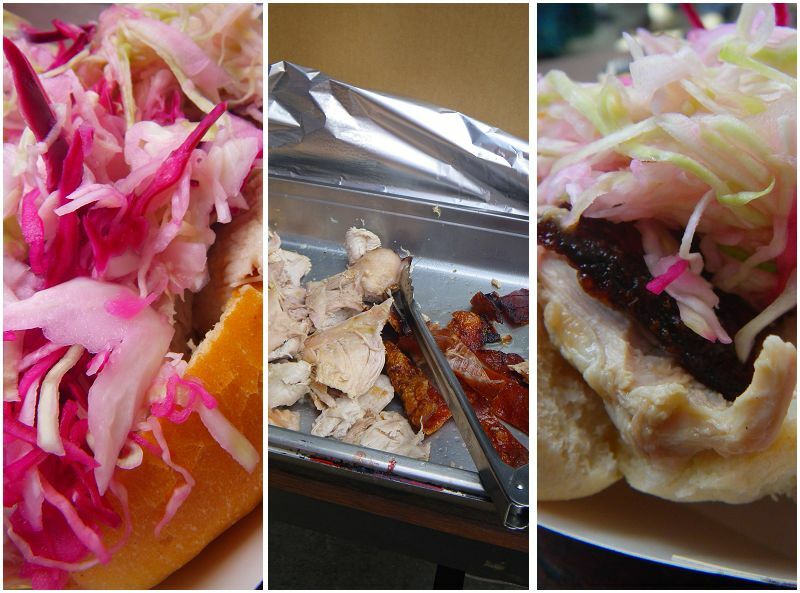 The pig meat was served with pickled cabbage in a bread roll. It was only $5 for a huge serve and the pig was roasted to perfection. The meat was tasty, well seasoned and slight smokiness escaped from the roll while eating it. The cabbage was sour and the acidity has reduced the greasiness of the fats. The nicely cracked skin was very crispy too! Yum! The whole atmosphere of the place is standard pub style with welcoming waiters. The food was tastier than many other pubs, especially the pig. The above dishes made two hungry bellies very full. Btw, the Octoberfest was a successful one and attracted many Germans to come. The pig looks delish! 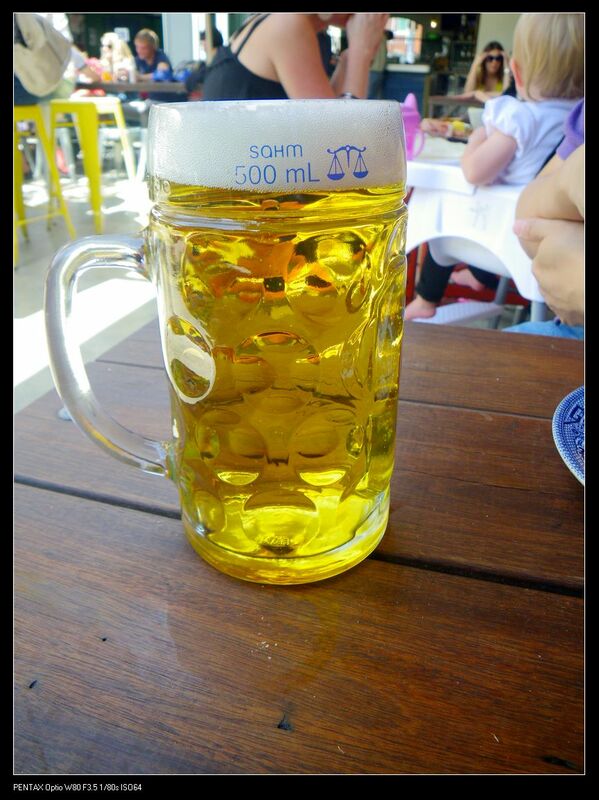 I am a German girl visiting Adelaide but to be honest, the Oktoberfest in Germany is much much bigger. I am sure it is. The Oktoberfest is the largest fair the world! You guys did very well on beers! I had really bad experiences there once as one of the waitress became very rude to my 2yr old daughter. ：( WILL NEVER RETURN! Really sorry to hear your experience….